Those interested in history and the arts will not be disappointed with Houston, as this city features one of America's largest museum districts. 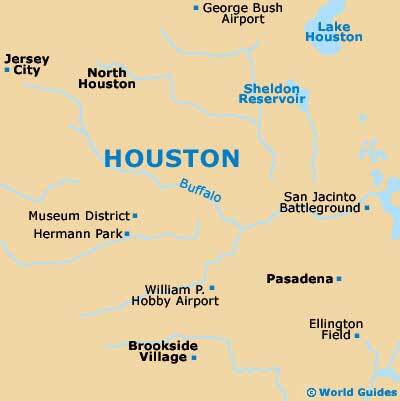 Located in an ideal downtown location next to the spreading Hermann Park, Houston's museum district is home to a host of popular attractions and historic exhibitions. 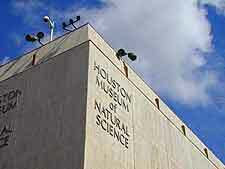 Housed within many of the museums of Houston are some truly outstanding collections of historical items, fantastic frescoes, the prized Menil Collection, endless interactive exhibits representing science and nature, a brilliant children's center and some of the best contemporary arts collections in the country. With its tantalizing exterior, the Houston Children's Museum is aimed at toddlers from six months to 12-year-old kids and is loaded with fun hands-on exhibits. Highlights include sections named Dragons and Fairies, the Eco Station, Flow Works, How Does it Work, the Invention Convention, Kidtropolis, Power Play, Think Tank and the Weather Station. There is plenty for babies as well, with activities specially designed to help develop their coordination through fun games. Of note, Hermann Park is just a few block away and home to the city's zoo. The Byzantine Fresco Chapel Museum is unique in that it houses the only intact frescoes from 13th-century Byzantium in the Western Hemisphere. The frescoes were originally stolen from a town on the island of Cyprus and later restored by the Menil Foundation. Located in Hermann Park, this family friendly attraction boasts many varied and impressive exhibitions, including collections of dinosaur skeletons and Texan wildlife, precious stones and minerals, oil and gas exploration exhibits, an insect zoo and a butterfly center. The Butterfly Center is the star attraction at the Natural Science Museum and sports a walk-through recreated rainforest. The fantastic Insect Zoo contains all manner of creepy crawlies, while other highlights include an IMAX theater and planetarium. The Menil Collection is perhaps the most prized collection of art in Houston, with more than 15,000 20th-century pieces focusing on post-war American and modernist art. 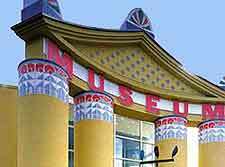 This building has become a popular landmark and was opened to the public in 1987. Over the years, the complex has grown and now also comprises the Byzantine Fresco Chapel, the Rothko Chapel, Richmond Hall and the Cy Twombly Gallery. The Rienzi Museum is loaded with antiques and European art mostly predating the 19th century and is particularly noted for its impressive collection of English porcelain. Located within a 1950s River Oaks mansion that was designed by John F. Staub and later expanded, the Rienzi stands on the western side of the city, close to Homewood Park and the River Oaks Country Club.